Here is a video demonstration of the Rocktron Third Angel Guitar Pedal. It sounds quite rock ‘n roll with a heavy metal edge. 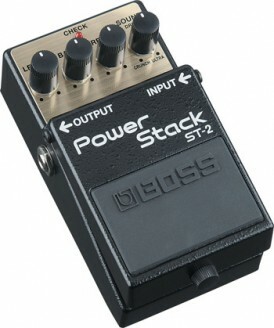 The pedal has great bass reflex and mids that cut through the mix really well. read the presser and watch the video below. Rocktron is well known for outrageous distortion tones, and the Third Angel Distortion stompbox is no exception. 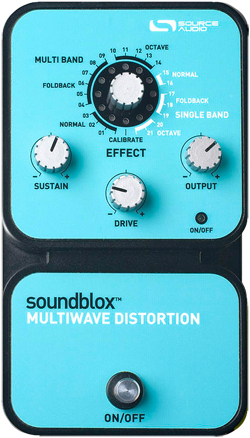 The Third Angel Distortion provides ultra-heavy distortion and tone and serves well with tube amps or solid state amps. Part of the Rocktron Boutique Series of stomp boxes this pedal design comes in a rugged metal chassis with eye popping retro custom design laser etched artwork. This is a TRUE BYPASS pedal: when you turn it off… it is out of your signal path! Control knobs for the Third Angel Distortion include LEVEL which controls the output volume of the box. BASS controls bass level, while TREBLE controls the treble level settings. DECEIVE controls the amount of gain. UNRIGHTEOUS controls the distortion waveform symmetry and definition.